Black Sabbath have announced a special, intimate homecoming show. 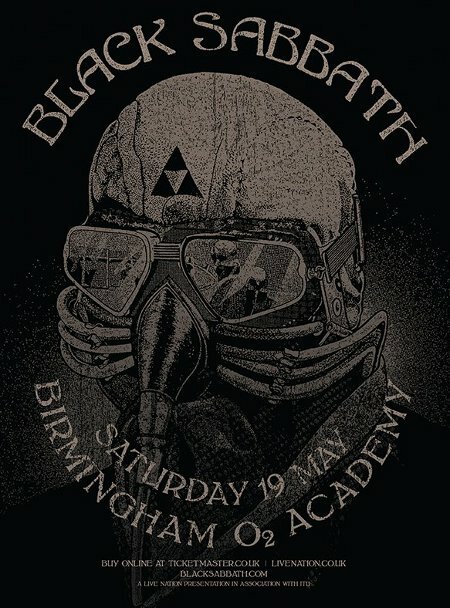 The mostly-reunited band will play the O2 Academy in Birmingham on Saturday, May 19. The show will be Sabbath’s first in their hometown in 13 years. A donation to Help For Heroes will be made from the proceeds of the event. Tickets are priced at £45 and go on sale at 9 a.m. on Friday, May 4. A full Sabbath reunion tour and album were among the projects announced at the group’s press conference last November. Since then, drummer Bill Ward went public with word that he has threatened to quit the project over a contract dispute, while Iommi revealed that he had been diagnosed as being in the early stages of lymphoma, a type of cancer. The guitarist has continued receiving treatment for the issue. Iommi’s news led to the cancellation of a full Sabbath reunion world tour; dates were replaced with an “Ozzy & Friends” lineup. In the meantime, there’s no official word on who will be handling drum duties for the Birmingham gig, or the other two Sabbath shows – June 10 at Download and August 3 at Lollapalooza in Chicago.